One week ago, the European Poker Tour Sanremo, the second stop on the Season 9 schedule, kicked off with 797 players each putting up €5,300 to battle it out for poker supremacy. It was a long seven days of play, but at the end of it Ludovic Lacay captured the title, the €744,910 first-place prize, and a brand-new Shamballa Jewels bracelet. On Thursday, the final eight players returned to the Casino Sanremo to play down to a winner. The stacks were fairly deep, so there was plenty of play to be had, and it took more than three and a half hours for the first elimination to occur. It happened when Jason Lavallee opened to 160,000 from early position and made a quick call when the Ismael Bojang three-bet all in for 1,500,000 from the next seat. It was a flip, but Bojang needed to improve. Unfortunately for him, the board ran and the German was sent home in eighth place for €65,450. A couple of hours later, Adrian Piasecki joined him on the rail in seventh place when his failed to overcome the of Lacay when the board ran out . The next to go was the sole American at the table, Micah Raskin, who opened from under the gun and called when Angelo Recchia three-bet him from the cut-off. The flop fell and Raskin check-raised Recchia's 250,000 continuation-bet up to 500,000. Recchia then three-bet to 875,000, Raskin called, and the turned. Raskin check-called a bet of 626,000, leaving himself just 330,000 behind, and the peeled off on the river. Raskin proceeded to check-call with full house, but it was no good as Recchia had rivered a bigger full house with . With that, Raskin took his leave in sixth place. The Irishman Jason Tompkins was the next to go in fifth place after his couldn’t crack the of Artem Litvinov after the two got it all in preflop. A short time later, Lavalle opened to 250,000 from under the gun before Recchia moved all in for 3,495,000 from the button. Lacay was in the big blind and moved all in over the top. The action was back on Lavallee and he made a quick and disciplined fold with ace-king. The board ran out and the hope of having a home-grown champion came to an end as the last Italian in the field exited in fourth place for €225,000. After Litvinov was bounced in third place, Lacay and Lavallee, the two biggest stacks at the start of the day, engaged in heads-up play with the former holding nearly a 2-1 chip lead. It was at that point the two struck a deal—Lacay locked up €644,910 while Lavallee guaranteed himself €538,089, which meant they were playing for €100,000 on the side. Once the numbers were settled, Lacay used his chip advantage to capture the title rather quickly. Congratulations to Ludovic Lacay on becoming an EPT Champion and adding his name to the prestigious list of EPT Sanremo winners! That does it for our coverage from Sanremo. 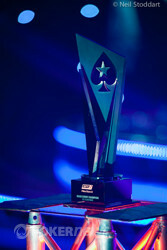 The next stop on the EPT9 schedule is Prague from December 9-15, 2012, so be sure to join us then for more great action on the European Poker Tour. 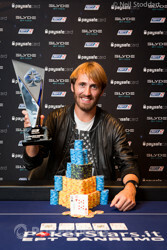 It didn't take long for Ludovic Lacay to finish off Jason Lavallee and claim the EPT Sanremo title. 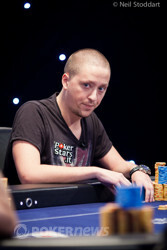 The players took to a flop where Lacay led for 175,000. Lavallee raised that up to 400,000 and called when Lacay three-bet to 750,000. The turn was burned and turned as the and Lacay came out firing with a big 1,400,000 bet. Lavallee took his time, rechecked his cards, and then shoved for 4,905,000 chips. Lacay called very quickly and this promoted the Canadian to wince. Lavallee: for a flush draw. The river fell and Lacay had all the chips in play. A full recap of the day's play is upcoming shortly. On a flop of , Jason Lavallee checked and Ludovic Lacay checked behind. The rolled off on the turn and Lavallee checked. Lacay bet 525,000 and Lavallee wasted no time calling. The river was the and Lavallee checked once again. Lacay moved a whopping 2,000,000 into the center. Lavallee called but rolled his eyes when he saw Lacay's for kings full of tens. Lavallee flung his cards away and Lacay won the pot. Crowds usually disappear as players are eliminated. But not in Sanremo where drink, and some non-partisan supporters, make for a rowdy atmosphere. Read on at the PokerStars Blog. On a flop of , Jason Lavallee checked to Ludovic Lacay on the button. Lacay bet 225,000 and Lavallee called. Fourth street was the and Lavallee checked once again. Lacay moved 600,000 into the middle and Lavallee stuck around once more. The peeled off on the river and Lavallee checked for a third time. Lacay bet 1,400,000 and Lavellee went into the tank for about a minute before finally releasing his hand. Vesa Leikos won €210,000 in Event #15: €2,100 NLHE, JC Alvarado (third) and Jonathan Little (seveneth) both made the final table. Click through to PokerStars Blog to find out more. Play has resumed. Just two players remain and one of them will be elated very soon, one will be distraught despite the big score. 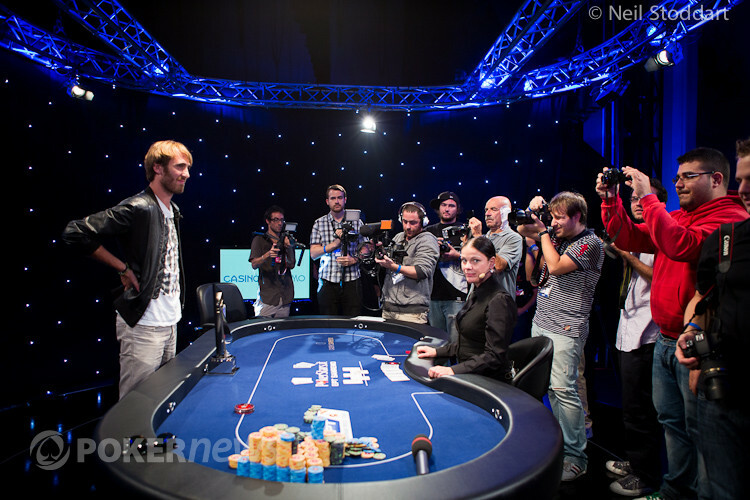 Before the heads up battle commences the players talked over and agreed a deal. Ludovic Lacay will take home a guaranteed €644,910 while Jason Lavallee will be guaranteed €538,089. That leaves €100,000 aside to play for. On a flop of , Artem Litvinov moved his stack of 1,710,000 all in. Ludovic Lacay called and flipped over for top pair. 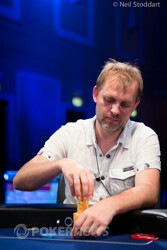 Litvinov tabled for a monster straight flush draw. The turn bricked out for Litvinov, however, as it brought the . Litvinov needed to fulfill his straight or flush draws, or pair his seven in order to win. Unfortunately for Litvinov, the river was the and he was sent packing in 3rd place, thrusting Lacay and Jason Lavallee into heads up play.